Another overlooked shot from Seattle. I thought I had seldom seen a less promising venue for the creation and/or consumption of quality beer, but I looked at the website, and it is much more charming when it's open for business. 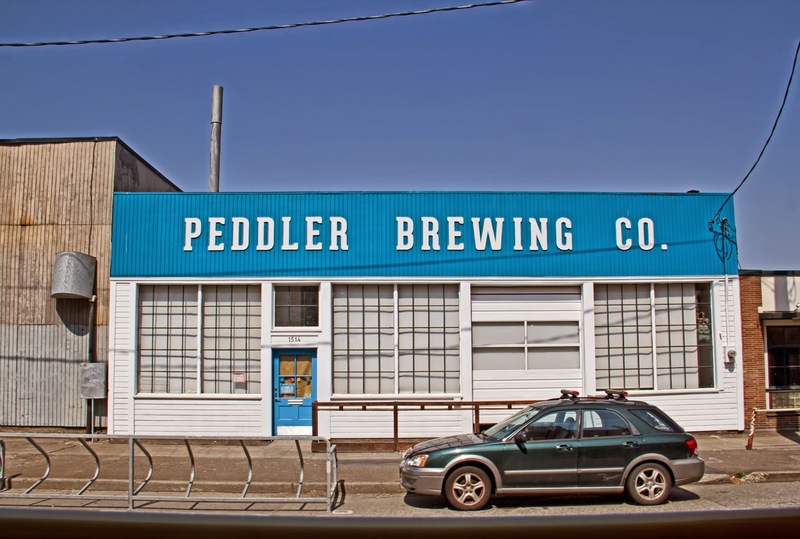 At Peddler, we strive to be a gathering place for beer lovers and support bicycling as an awesome way to get around our beautiful city.